Every year when these numbers come out from The Knot, I always am interested to see how things have changed from year to year! The wedding numbers are in for 2011, and they can be really helpful when you are looking at your budget, and what you should realistically spend on your big celebration! Obviously this is only an average, and in California some of these categories are quite a bit more expensive, however this is great info for anyone planning a wedding! 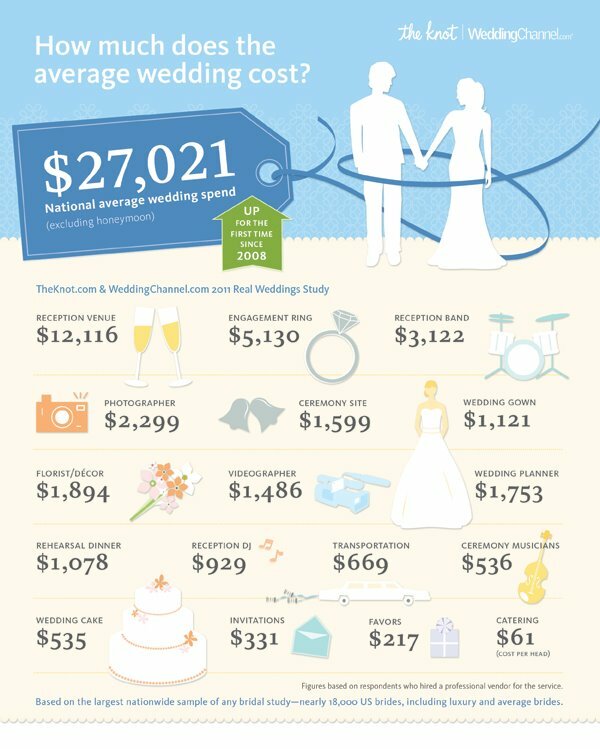 I’ll also recommend that you take a look at weddingwire.com to utilize their budget tool…. one of the best I’ve ever seen! Such a huge help! forex h�ndler Hi there, I truly love your webpage. So much usefull data. Appreciate it for sharing this with us. Cheers!